The poster print is 16×20″ and incorporates a 1″ border around the artwork, so you can instantly throw it into a standard-sized frame and it will look like it has already been matted. The picture above shows how it looks in real life after I placed it in a $11 Wal-Mart frame. All posters will come shipped rolled in a cardboard tube. Nice! Glad you are finally selling these. I am sure you will sell a bunch of them. I put the word out on my Twitter feed. These look great in person. 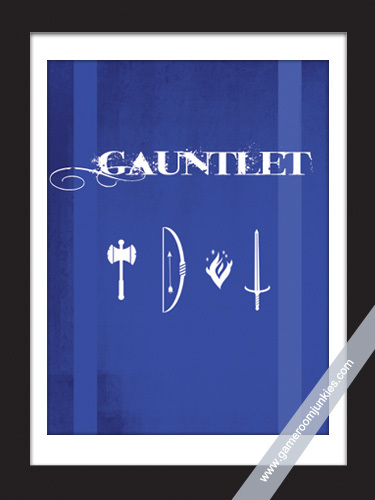 Got a Gauntlet from the kids for fathers day. 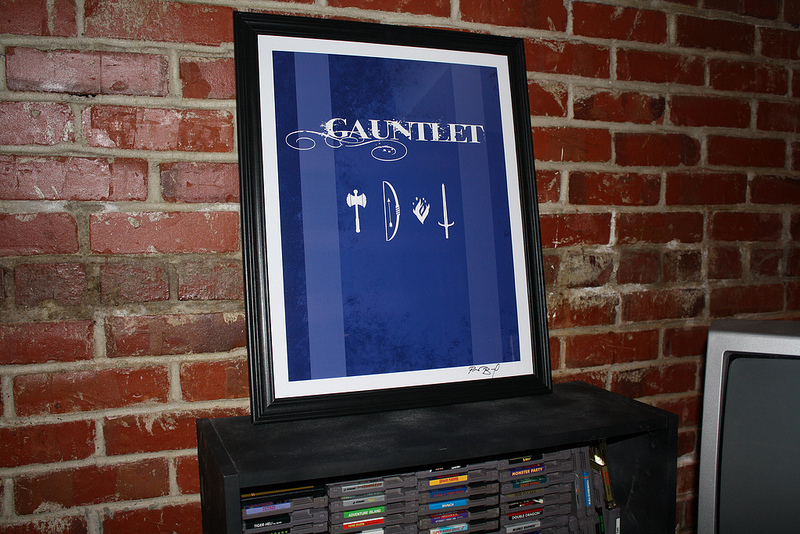 It will eventually go next to the Gauntlet legends in the gameroom. Wow! Thanks for the kind words. I love Gauntlet legends…very addictive! I love that you guys focus on collector’s game rooms! It’s great to see the thgins others include in the line-up or what they choose to display on the walls, etc. You’re doing a great job with both the website and podcasts! Nice game room, Brian!